Due to their innovative design, superior craftsmanship, and next-level comfort the men's and women's wedding bands by Benchmark are some of the most popular choices in luxury-quality wedding bands currently available today. Founded by Tom Tosyali to be the standard, or the 'benchmark', of bridal jewelry quality, Benchmark wedding bands are created using innovative, state-of-the-art, drafting, design, and construction technologies, and as a result, are rings of Benchmark that are devoid of any surface-level flaws or errors. Additionally, if a registered Benchmark ring ever needs to be resized or refinished, Benchmark's legendary Lifetime Guarantee will take care of this expense free of charge, and in the event that material has to be added to complete the sizing process you will only be charged for the metal or stones added. Why Buy Benchmark Wedding Bands from Dejaun Jewelers? Since 1985, Dejaun Jewelers is the leading destination in the San Fernando Valley to find a perpetually-growing inventory of beautiful wedding bands, engagement rings, timepieces, and fine jewelry items, all found at competitive and reasonable prices. Additionally, in each of Dejaun Jewelers' Woodland Hills and Thousand Oaks locations, customers will find an array of designers including, Forevermark, Hearts on Fire, Gucci, Breguet, Raymond Weil, Michele Watches and others, as well as a friendly and knowledgeable staff excited to help customers in finding the perfect fine jewelry item for any and all occasions. Finally, for the continued convenience of their valued Los Angeles area customers, Dejaun Jewelers extends free shipping on all purchases over $1,000, a ten-day exchange policy, practical financing for all budgets, as well as onsite jewelry and watch repairs. For over 30 years, Dejaun Jewelers has supplied their Los Angeles area customers with an immense selection of wedding bands, and today is thrilled to carry Benchmark designer brand men's and ladies' wedding bands. For those customers searching for the perfect wedding band for their bride-to-be, Dejaun Jewelers now carries the Benchmark women's wedding bands of the Diamond Bands and Classic Bands wedding ring collections. 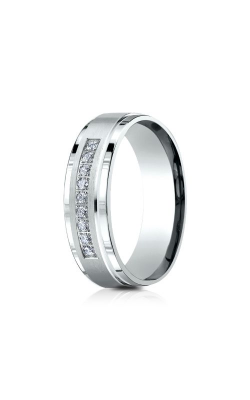 In addition to these fabulous Benchmark ladies' bands, Dejaun Jewelers also offers men's wedding band collections such as, the Diamond Bands, Design Bands, and a plethora of other designer wedding band options.